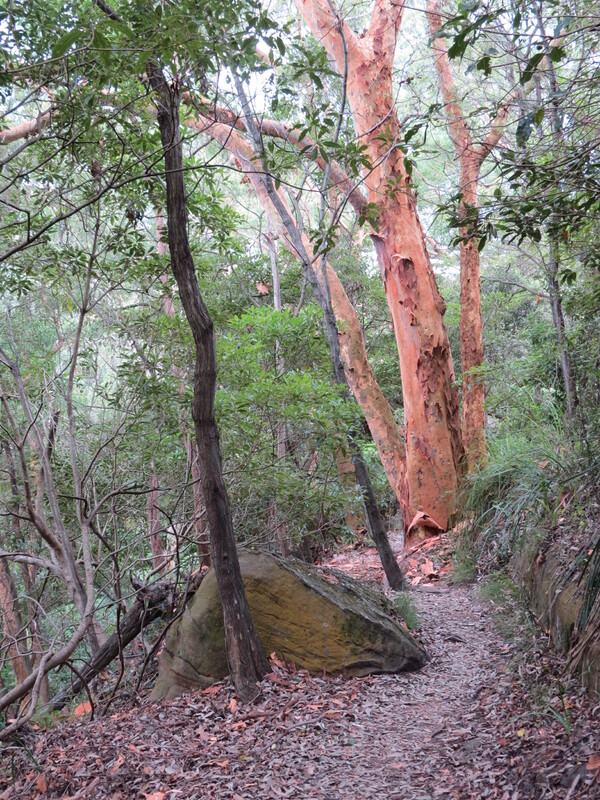 Visiting my daughter in Sydney is a great opportunity to check out the local bushcare sites like Flat Rock Gully on the boundaries of North Sydney and Willoughby City Councils. 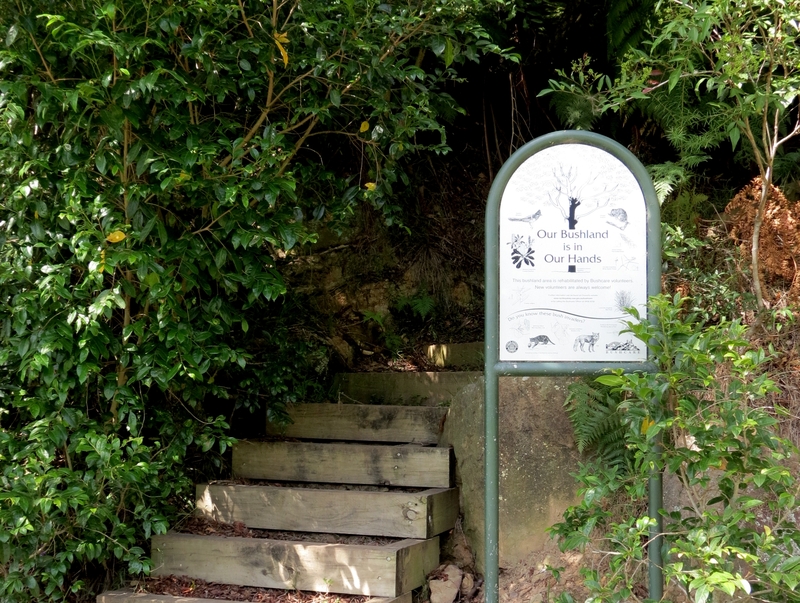 Flat Rock Creek is piped under Tunks Park creating a popular community space with children’s playground, cricket pitches, football fields and great space for dogs to play with their owners. How do I reach that Asparagus Fern? 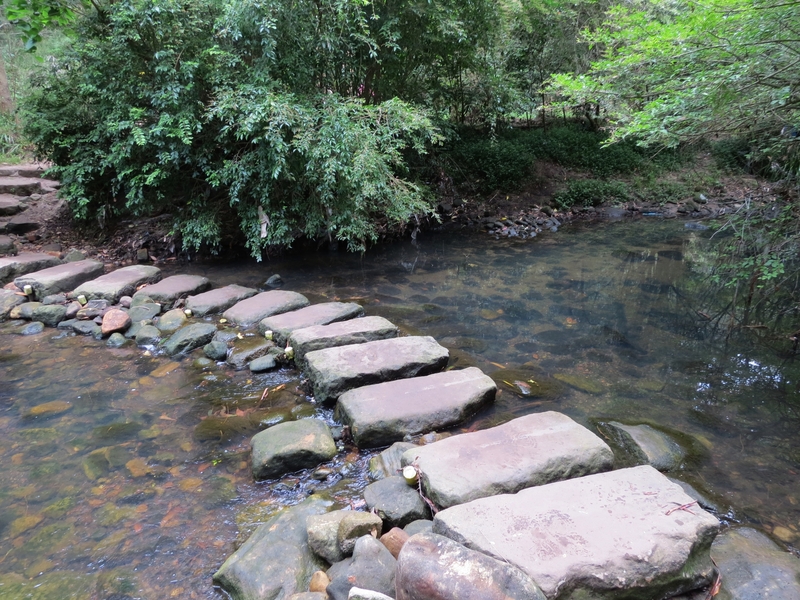 Tunks Park East & West and Mortlock Reserve Bushcare groups (North Sydney Council) are active restoring the along the southern side of Flat Rock Creek while The Drive (Flat Rock Gully) Bushcare group (Willoughby City) is working on the northern side. 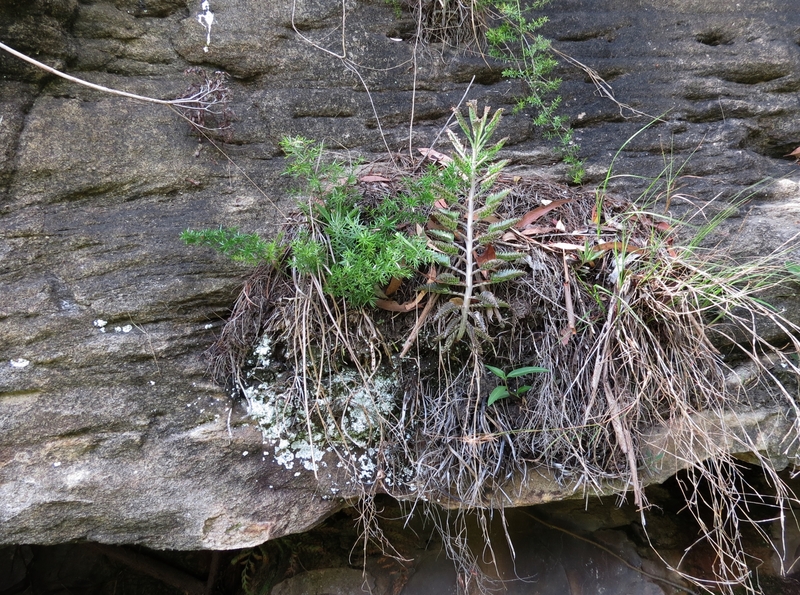 The rock formations common in Sydney make very attractive landscape but challenging sites for bushcare. Tunks Park East group leader Steve Miles who told me that a large Privet grove had been the priority initially. Steve explained that one of the key issues was that the site, like so many in Sydney, is narrow with housing right along the edge which means dealing constant reinfection with garden escapees. 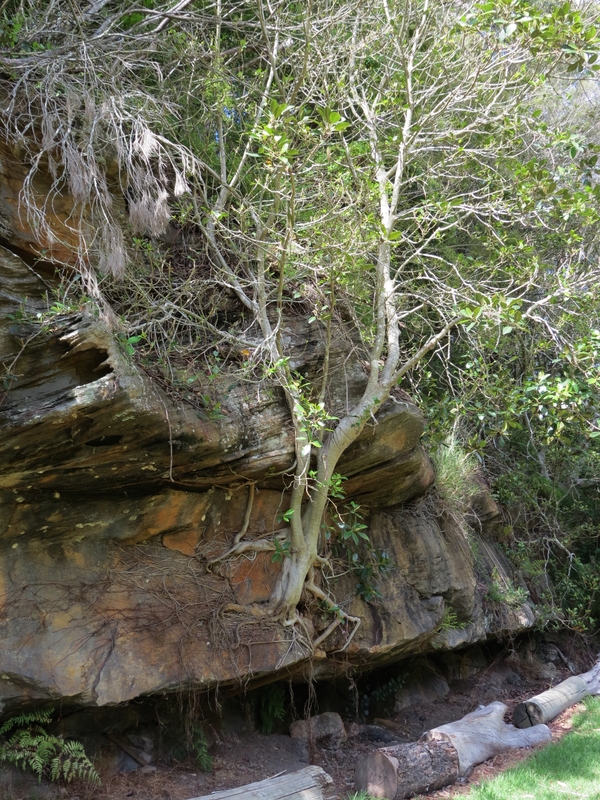 However, Steve is still optimistic “Nature is resilient and just needs a chance.” Like this native fig finding any crack or fissure for its roots to get a hold. 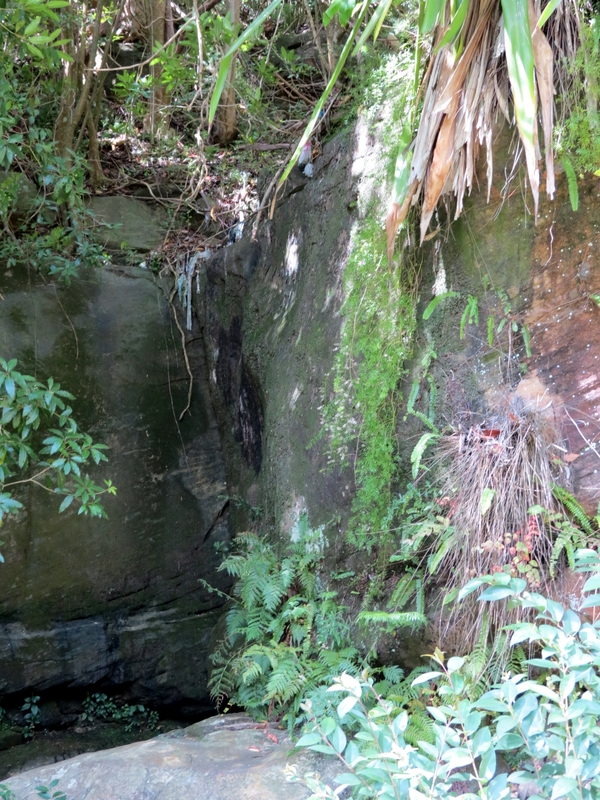 Steve explained that Flat Rock Gully is a diversity hot spot and wildlife is returning as restoration progresses. Aside from a Brush Turkey mound the team regularly sights green tree snakes, king parrots, scaly-breasted lorikeets and bandicoots are returning. The return of bandicoots is excellent news however it does highlight the need for gully neighbours and visitors to control their pets. Dogs on leash in bushland and cats kept inside at night. Other exciting news from 2014 is the new native plant nursery at The Coal Loader Sustainability Centre and a couple of sea lions sunning themselves on the shore-front rocks. 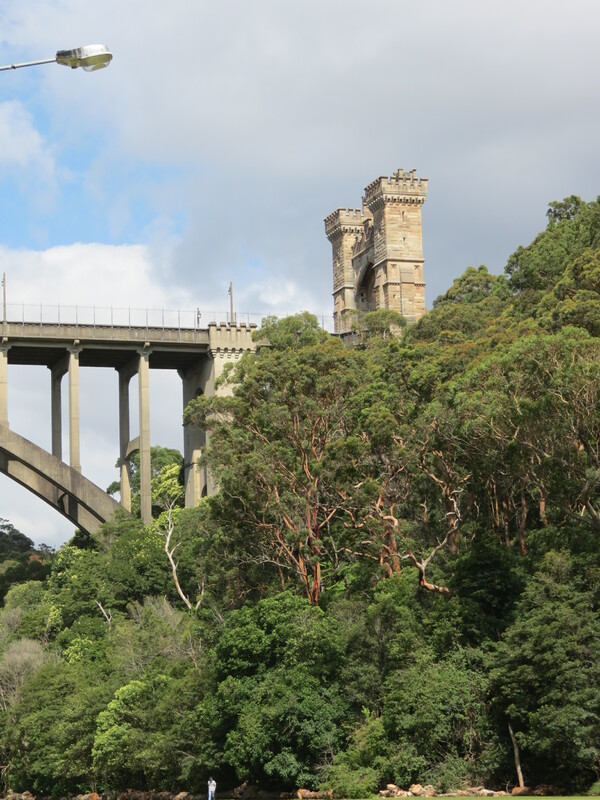 The spectacular Cammeray Bridge with its castellated towers forms the boundary of Steve’s Tunks Park East site. Following the tracks up Flat Rock Gully markers tell some of the European history, for example, the original Northbridge Suspension Bridge was a toll bridge built in 1889 and replaced in 1939 with the Cammeray Bridge, retaining the towers. 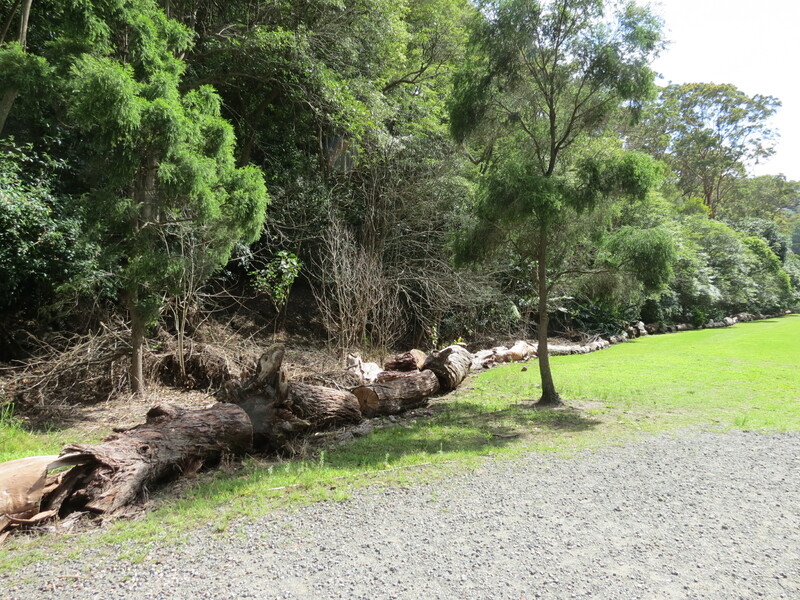 The bushcare teams have been active on both sides of Tunks Park with logs allowing weeds to be composted onsite. The track along Flat Rock Creek is cool and peaceful, very popular with walkers and runners. Unfortunately most dog walkers I passed ignored the many signs saying dogs must be on a leash in the bushland area. This is particularly disappointing considering the huge area of parkland just a short distance down the track where dogs are free to run and chase balls. 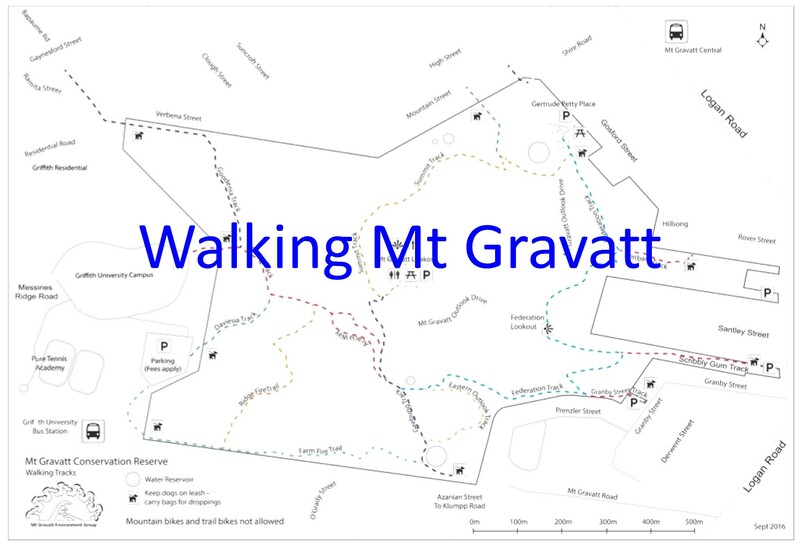 Many of the native plant species are ones we find in Mt Gravatt Conservation Reserve, like Sweet Sarsaparilla Smilax glyciphylla, Tree Ferns Cyathea cooperi and Creeping Beard Grass Oplismenus aemulus. There were also quite a number of species I didn’t recognise spectacular like Smooth-barked Apple Angophora costata all orange as they shed their bark. 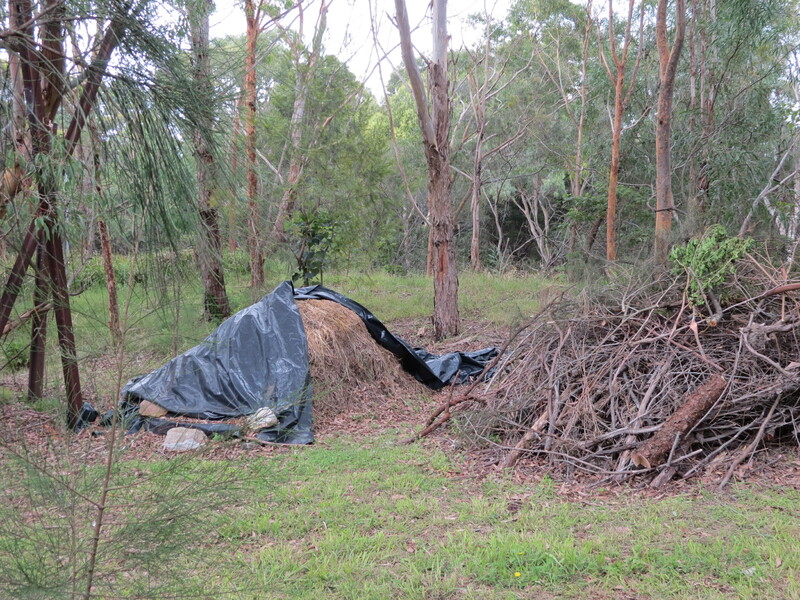 I always get new ideas when visiting other bushcare sites. One interesting idea is the separation of woody weeds from grass and soft weeds which can be covered with black plastic to compost quickly. Simple but effective. We already use black plastic but putting the woody weeds into a different pile will create good habitat for lizards while allowing the softer weeds to compost faster. I look forward to exploring further up Flat Rock Gully on my next visit to Sydney.